Indianapolis Web design and development firm Cirrus ABS provided an updated design for the CertaPro Painters of Indianapolis website. 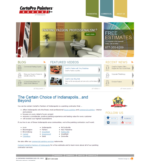 CertaPro is a leading franchise in CertaPro Painter’s national system and has been serving Indianapolis for almost 20 years. Cirrus ABS’s main goal was to give CertaPro a tool that generates new leads. 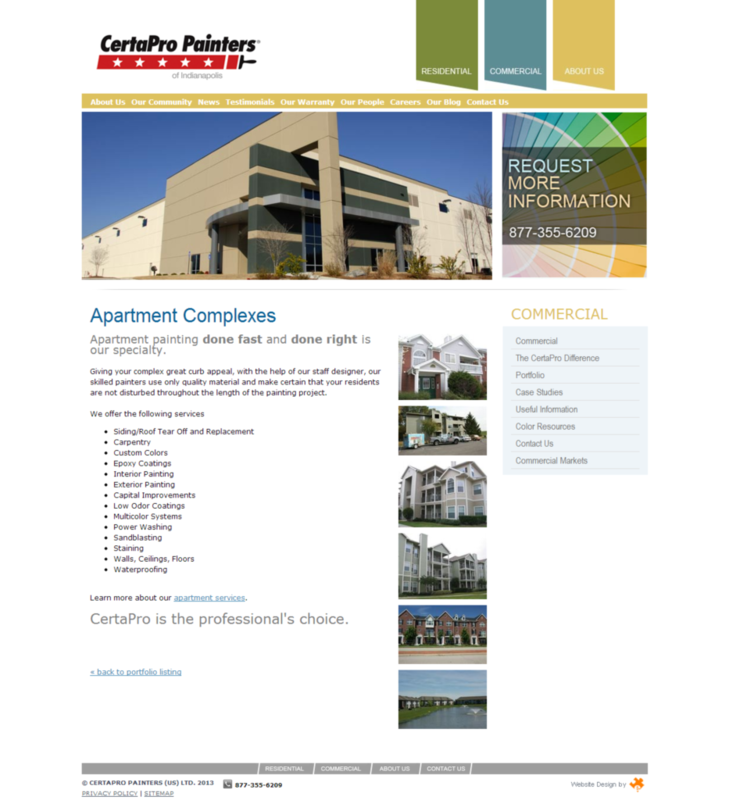 To do so, the website designed by Cirrus contains features unique to CertaPro’s industry. 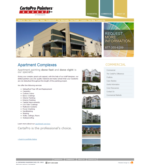 The homepage, for instance, has a custom interactive flash header that displays commercial and residential portfolio pictures that act as quick-access links to company information and helpful painting tips. 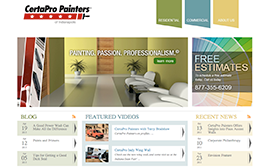 Providing the website with a custom design is crucial in a highly design-conscious industry. In addition to integrating the website with popular social media like Twitter, Facebook, LinkedIn, and Youtube, Cirrus ABS also provided an RSS feed for CertaPro’s informative blog. 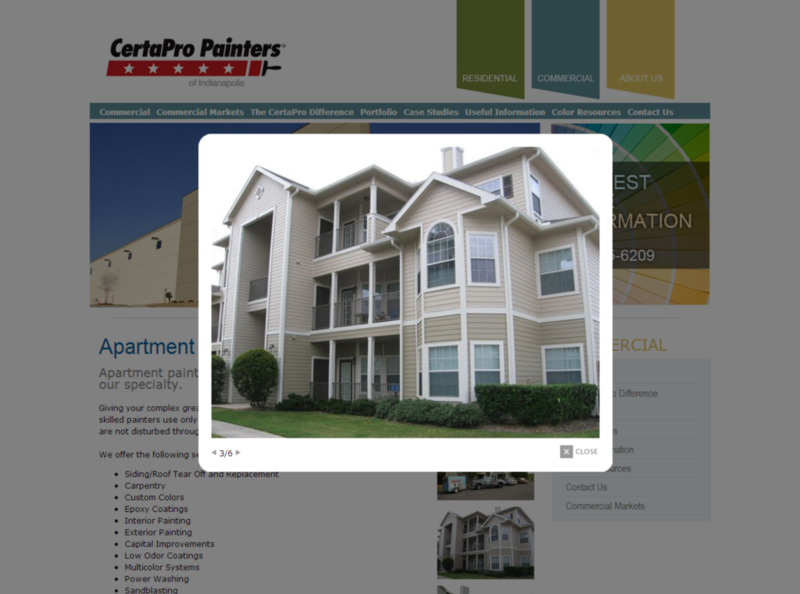 Cirrus ABS used its portal technology to help market CertaPro’s commercial paint jobs.